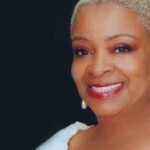 Rep. Sheila Jones has represented portions of Fulton and Cobb counties since 2004. She serves on the House Appropriations, Children and Youth, Transportation, and Health and Human Services committees, and is vice-chair of the Rail Subcommittee of the Transportation Committee. She is also an executive committee member of the Fulton County Democratic Party. Sheila has worked for the Lockheed Martin Company for over 20 years and is a Shop Steward with the AFL-CIO Local Lodge 790, International Association of Machinists and Aerospace Workers. She is a member of the Delta Sigma Theta Sorority, Atlanta Alumnae Chapter. Several organizations have recognized Sheila’s legislative service over the past decade, including the Cobb Democratic Women, Georgia Conservation Voters, the Georgia Legislative Black Caucus and the Cobb County Democratic Committee.